We, at Scaf – plastic fabrication company in Melbourne, take up all kinds of plastic fabrication projects as our design team is proficient to conceive, design and fabricate the plastic material as per your exclusive need. Our qualified and well groomed staff can take up the challenge of working on a simple hand sketch to a complex multi-facet product. We retain huge stock of materials for specific products and projects. We specialize in fabricating a flat sheet by punching, routering, forming, cutting, hot-stamping and finally packaging based on the specific specification of our customers. We have a high speed accurate CNC laser cutter in our premises, which can take anything, any plastic material like acrylic, polycarbonate etc, of any size up to 5ft wide and 10ft long, to fabricate and customize it based on the specification given by the customer. 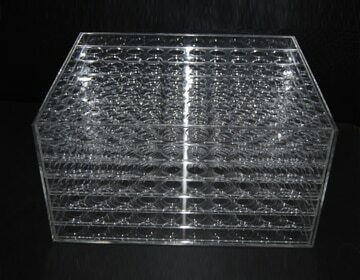 Acrylic sheets are one of the most popular materials for display and other aesthetic appearance and utilities. This plastic product is extremely versatile and is, more often not, facilitated as POS, visual communication, acoustics, window glazing, architecture, kitchen, furniture and bathroom splash backs etc. Usually we work with standard sheet size of 2440mm x 1220mm that can be cut to desired size and polished and fine tuned to fit into the shape and size of the need of the customer. 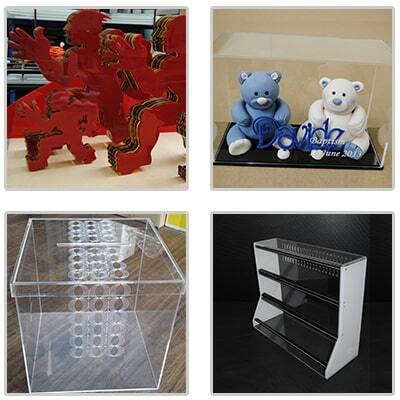 Polycarbonate is yet another tough and high impact-resistant material, often used as exterior automotive components. Just share your need with us and we can instill life into it. You can share your hand sketches or even a sample piece for better understanding. It will give us the concept to conceive the design and the pattern you are in the lookout for. In our long journey of plastic fabrication in Melbourne we have conceptualized and designed a great range of quality plastic parts for multiple industries. It includes point of purchase displays, automotive parts, trays, fixtures are host of others. Let your ideology sync with our conceptual designs to produce quality pieces!